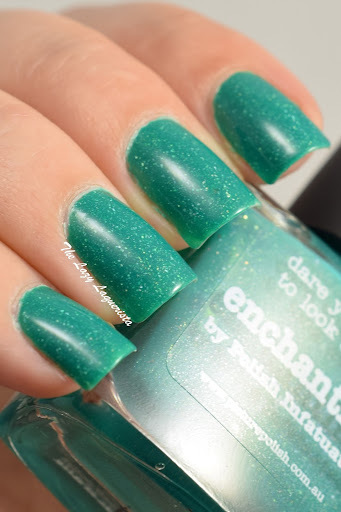 The most recent blogger collaboration shades from Picture Polish featured three gorgeous teals and greens that I knew I needed to have. Today I have one of them, Enchanting, to show you. 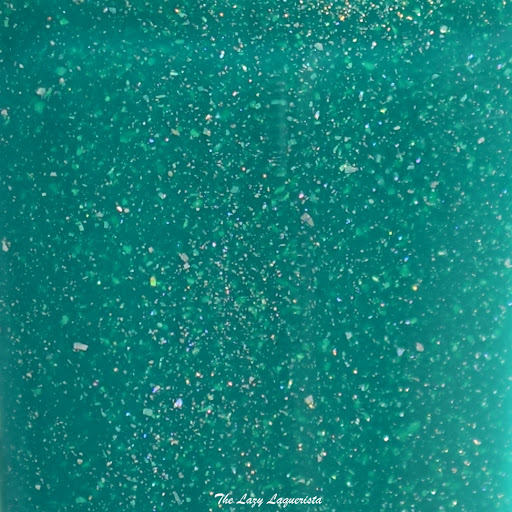 Enchanting is a bright jelly polish on the border between green and teal featuring a flecked subtle scatter holo finish. The formula was excellent and it only took two coats to become opaque. It also dried completely smooth so top coat is only needed to make it last longer. Photos show two coats of Enchanting with one coat of Nubar Diamond top coat in daylight spectrum lighting. Please note that this polish does lean slightly greener in real life. I can't get enough of these flecked holo finishes and Picture Polish continues to impress. I also have Dragonfly and Escapades on their way to me now and I can't wait to try them out. What do you think of this shade? Is the flecked holo finish a favorite or do you prefer a stronger linear holo?